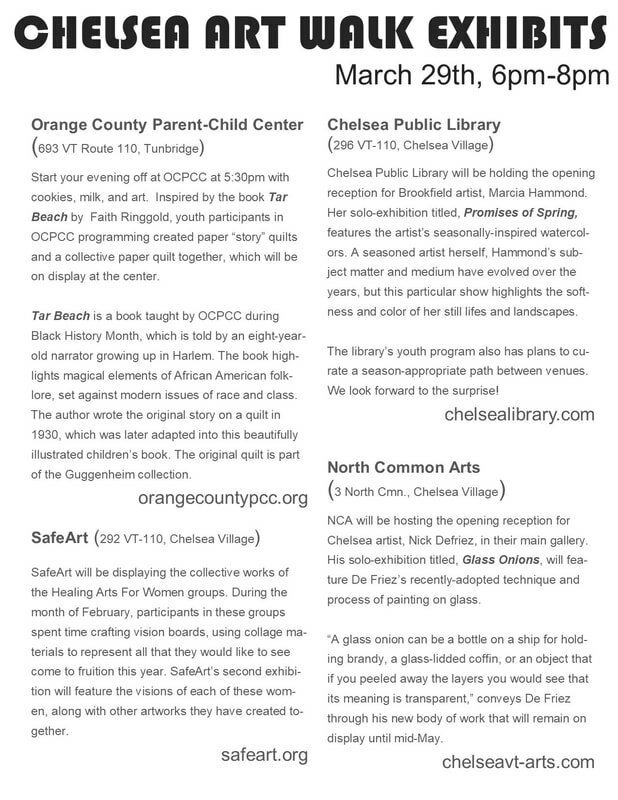 We are thrilled to be partnering with area-groups, organizations, artists, and studios to create a bi-monthly Art Walk in Chelsea Village and Tunbridge. We invite community members to partake in an evening of art every other month, with multiple venues opening their doors to showcase curated exhibits by local artists. This is a free community event for neighbors and families, alike. Refreshments will be offered at many of the participating venues.